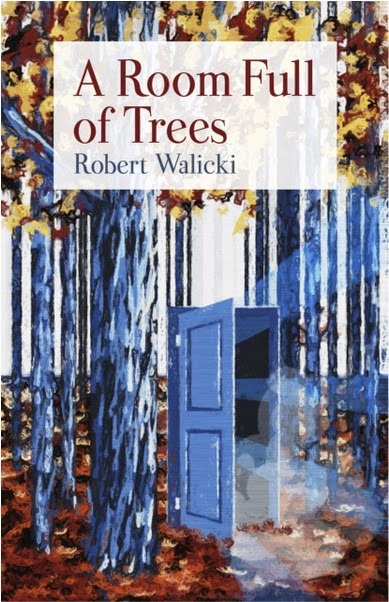 Everything about Robert Walicki’s debut chapbook, A Room Full of Trees, is stunning. 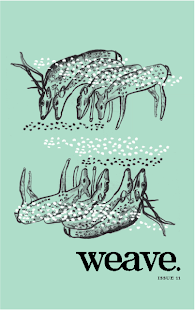 First, the reader is treated to a gorgeous, hand-bound cover from Red Bird Chapbooks. The cover art and drawings by Carl Huelsman complement the poems to create one, complete work of art. And Walicki’s words explode even brighter. Walicki’s use of caesuras makes the readers feel the suspicion and hesitation of turning their backs and letting someone creep closer to them. In fact, the hesitation toward physical contact runs throughout the book. It is 1933 and she is standing in a bread line. I hold the photograph up to the light. The reader is not even given a memory of touch to experience, but is left with a thumb on an old picture. The lingering effects of loss, as well as striving to recreate past moments, is again felt when a speaker erects a scarecrow with his sister. While using his deceased father’s clothes as the scarecrow’s costume, he states that “She doesn’t know I’m building a man,” as if he is trying to rebuild the person with the leftover materials of memory. Despite anxiety, distance, missed contacts, and loss, light plays a key role in keeping the collection from getting too dark. Even when recalling sexual abuse in “When The Sunlight,” there is a“… sliver of light through the gaps / reaching you, here, and now, and always.” Walicki’s poetic gift to readers is filling all the space that he has created between bodies. “What the Light Wants” starts by saying, “Not the tall branches above me rocking and breaking. / Not the dead branches over tree lines too high to touch.” The poem uses the title and the first two lines to state that light isn’t interested in the living or the dead. Instead, the light wants the rest of the poem: the struggle between a son and his deceased father. Dealing with death and the seemingly unbridgeable distance between people can be immense and disorienting. For all the pain and darkness, though, light is always somewhere in Robert Walicki’s poems. There is still “sunlight flashing off the windshield” even if it’s sometimes a “broken light… moving through the space between the trees.” The ability to express this complexity while keeping his poems layered and inviting is nothing short of radiant.